Learn the countries, capitals, and flags of Asia with interactive learning: Use your Apple TV remote to navigate a high-resolution map of Asia! Perfect for students, teachers, and anyone wishing to learn about Asian countries, capitals, and flags using a fun and interactive method. A star system tracks your progress in each mode! 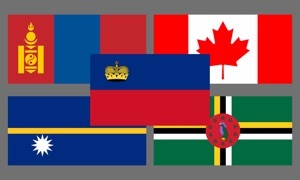 Eastern and Central & Southern (countries, capitals, and flags) are included for free. The remaining modes can be unlocked with a single In-App Purchase.